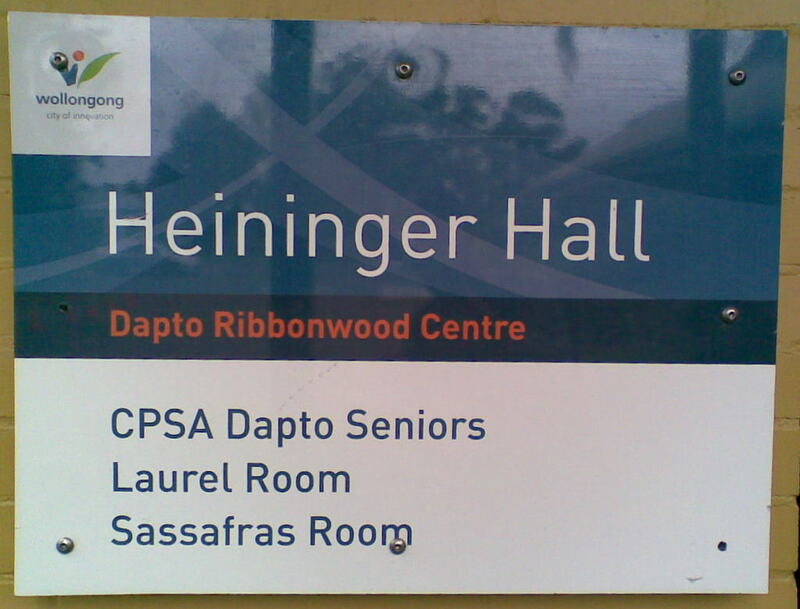 CPSA Dapto Seniors' regular meeting is at 10am on the 15th March in the main hall at Heininger House next to the Ribbonwood centre. Shirley will be taking your instalment payment for the club's holiday to Macksville. There is still time to book if you haven't already done so. Book or pay for your ticket to a Sydney Show. Names are now being taken for Legally Blonde which starts at the Lyric Theatre later in the year. These trips are only $10 each so be sure to get your ticket early. The Trade Table will have have its usual array of goodies for you to chose from at ridiculously low prices. Inspect the large selection of books on offer or some of the wonderful knick knacks for your home. Wally and Duncan will, as always, be there to pour your cup of tea or coffee and offer you biscuits to go with it. Unfortunately there are no places available for computer or Internet training at the moment so watch this space. Pick up copies of The Voice and The Senior newspapers as they become available. Finally don't forget to buy your raffle tickets from Trish to be in the running for three $10 prizes drawn at the end of the meeting. 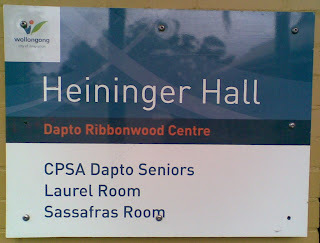 Dapto Seniors' meetings last between 35 minutes and one hour.and include reports from the activity groups for example giving details of the next walk to be undertaken by the walking group, tickets for new shows as they become available, details about the next lunch or concert and other issues involving the club. In General Business members are encouraged to raise any issues they feel need to be brought to the attention of the club's membership and/or committtee. Don't be afraid to speak up. If you are not a member why not come along and find out about the many weekly activities the club offers, you are more than welcome to take part before committing to join.